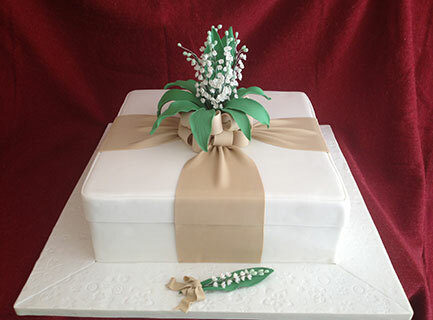 A bride who got married in May had Lily of the Valley as theme for her wedding. Each tiny blossom had been wired to replicate the true flower. Carrot cake with cream cheese frosting was the real treat!